The Shortest Distance Between You and Your Goals. “Focus always precedes success. Specific goals become the automatic software programs shaping your future. This book creates a ‘success track’ you can run on to make winning your daily habit, for the rest of your life.” – Dr. Denis Waitley author The Psychology of Winning. The secret is to know what you want, why you want it, and have a plan for taking action every day. In these seven simple steps you’ll learn how to focus on what’s most important to you, create a compelling vision to fuel your motivation, and how to develop the Action-Plan to achieve your goal. What are the Seven Steps? The seven simple steps have helped countless create winning action-plans for goal setting success. Now you can uses these same steps to create your action-plan and reach your goals. Follow the link to get your Free Copy. 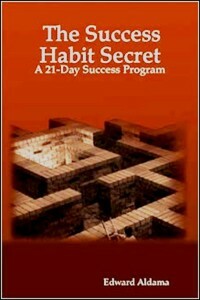 Get your copy at Lulu.com and you can start using this program to reach your goals. This simple yet powerful seven step goal setting process will set you up for success and give you a winning plan to reach your goals. I wish for you all the success you strive to achieve.